Is Driving to Work Tax Deductible? Tax deductions are costs that the government allows taxpayers to subtract from taxable income. Tax deductions can potentially save hundreds or thousands of dollars on taxes, and may result in sizable refunds. The Internal Revenue Service (IRS) offers several tax deductions related to travel for business but not all travel costs related to a job are tax deductible. Normal commuting costs you incur traveling from your home to a workplace and back, such as the cost of gasoline, buses, trains or other forms of public transportation, are not tax deductible. According to Bankrate, it does not matter how far you are from a workplace or if you work during the commute, such as on a train or bus; personal commuting costs are not tax deductible. Many workers prefer to live in city centers to be closer to jobs and face shorter commute times and lower commuting costs. The cost of commuting for a job may be tax deductible in special circumstances. According to the IRS, transportation costs associated with traveling from one workplace to another while you are away from home are tax deductible. For instance, if you take a bus from one office to a different office on the other side of town, the cost would be deductible. The IRS also states that if you have a home office that is your primary workplace, the cost of traveling to other locations associated with your employment is tax deductible. In addition, the cost of commuting to a temporary workplace that is outside the metro area where you live and work is tax deductible. Business travel expenses are costs related to travel that is required by your job and are tax deductible. For instance, if you have to drive or fly to a different city and stay overnight because of your job, the costs of are tax deductible. The IRS also states, "if you use your car in your job or business and you use it only for that purpose, you may deduct its entire cost of operation." Can You Take Cabs for Work off Your Taxes? Can I Deduct Commuting if My Work Is a Long-Distance Drive? What Is Tax Deductible When Working in a Different State Than Residence? Can I Deduct Mileage If I Travel to Another State to Work? 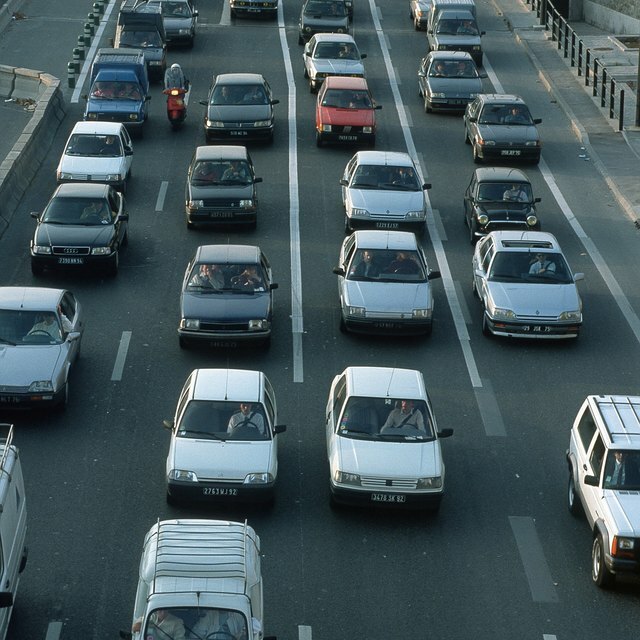 Tax laws vary from one state to another and in some case, costs related to commuting may be deductible for state taxes. For instance, the Massachusetts Department of Revenue allows commuters to deduct the cost of commuter tolls and transit passes from their state income tax.